It is with great excitement that the Lazaridis Institute for the Management of Technology Enterprises announces the six-month appointment of Dr. Holger Patzelt to the position of Lazaridis Visiting Chair. Dr. Patzelt joins the Lazaridis Institute by way of the Technical University of Munich (TUM) where he is Professor of Entrepreneurship and Chair of the Entrepreneurship Research Institute. With research focusing on entrepreneurial cognition and the economic, emotional and psychological consequences of failure, Dr. Patzelt will be a valued resource to the Lazaridis Institute and the Lazaridis School of Business and Economics. The Lazaridis Institute was founded to empower and support Canadian technology firms to scale rapidly into globally competitive enterprises. A major point of differentiation for the Lazaridis Institute is its strong research focus on management issues pertinent to high growth firms and, accordingly, Dr. Patzelt’s expertise in entrepreneurship is highly informative. Throughout his tenure in this role, Dr. Patzelt will be working on various research projects with faculty including Dr. Anne Domurath and Dr. Nicole Coviello. He will also be engaging with other faculty at the Lazaridis School provide guidance to both undergraduate and graduate student research, and conduct research seminars. In June, Dr. Patzelt will headline the Lazaridis Institute’s Entrepreneurship Research Symposium, speaking alongside Dr. Dean Shepherd (USA) and Dr. Marc Gruber (Switzerland), a trio that represents some of the most published and respected talent in entrepreneurship research worldwide. Dr. Patzelt holds both a PhD in Business Administration and a PhD in Chemistry. He has received numerous awards for his research and reviewing, and he is currently an Editor at Entrepreneurship Theory and Practice, a Financial Times 50 journal. His work is regularly published in the premiere management and entrepreneurship journals, as well as leading journals focused on innovation. He has also published in numerous high profile journals as a scientist. 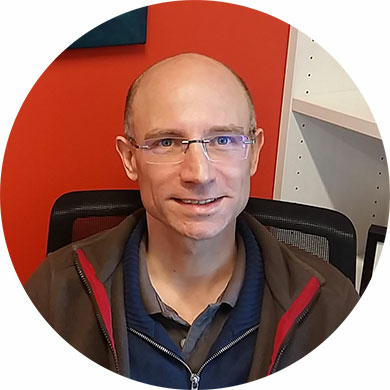 Please join us in welcoming Dr. Holger Patzelt to the Lazaridis Institute.